Are the Lexmark 43XL and 44XL compatible cartridges for the Lexmark X4950 chipped or do you have to put a chip on them? All of our cartridges, including the compatible Lexmark 43XL and 44XL ink cartridges for the Lexmark X4950 printer, are already fitted with a chip so you can install them directly into your printer. Are Lexmark X4950 cartridges refillable by home users and can the chips be reset? If so, how? Unfortunately, we do not stock a refill kit which is suitable for the Lexmark X4950 printer, so I cannot advise if the cartridges can be refilled. Have you been searching for the cheapest offers for all cartridges? Then you should find out more about just what precisely Cartridge Save can offer you! We specialise in offering you with the most affordable Lexmark X4950 cartridges alongside our renowned customer care. Browsing for most of the day to order the best printer cartridges is such an easy way to waste time It's no longer essential to research pricing, the best prices are to be found on our website. So save time and money - place your order from Cartridge Save now. You can have peace of mind if you buy with Cartridge Save thanks to our extensive thirty day refund guarantee, which is standard on everything. So if you experience any complications with your cartridge within thirty days after buying you can simply mail it to us for a total repayment. And there's more, every Lexmark X4950 cartridge also features 100% free next day delivery. You won't have to waste more hours looking for the the most affordable prices -- they're available now at Cartridge Save. Used in businesses, offices, and homes, the Lexmark X4950 is a reliable and efficient multifunction printer that prints, scans, and copies while also offering wireless connectivity. The X4950 is an ideal choice for those who are not only looking for speed but for quality as well, as the printer can produce documents and images with a maximum resolution of up to 4800x2400 dpi. The Lexmark X4950 uses two ink cartridges, one for black and the other for tri-colour ink. Users who want better quality pictures may also purchase an additional photo tank. Versatility is the main draw of this device. 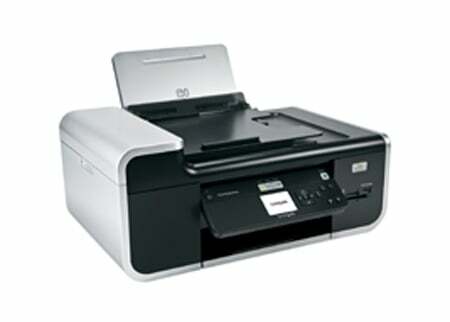 However, the Lexmark X4950 lacks a fax component, which most offices need. Sleek and compact, the Lexmark X4950 AIO is well designed, featuring its very own 2.4-inch display screen where users can preview, edit, and adjust photos in full colour. The scanner has a 48-bit colour depth and 16-bit grey scale, while the built-in flash port allows users to scan and print directly to and from thumb drives. The Lexmark X-4950 likewise features memory card ports for printing photos direct from mobile phones or digital cameras. Above all, the Lexmark X-4950 wireless 3-in-1 printer is a handy tool for students, office workers and home users alike. More than its well engineered mechanisms, the Lexmark X4950 boasts other components like the automatic document feeder, which makes scanning or copying multiple-page documents a lot easier. There is also a useful accompanying software package for the X4950, which gives users the ability to manage their projects easily. There is not much to criticise about the Lexmark X4950 all-in-one printer in truth. It offers a variety of connectivity options, from the USB port to the memory card slots and wireless set-up. However, those looking for a multifunction printer with fax functionality may want to look at other all-in-one units as the Lexmark X4950 does not cater for this.